Purchasing this item will earn you 2771 reward points (Reward Points Rs. 277.10) ! Purchasing this item will earn you 2771 Rewards points (Rs. 277.10) ! 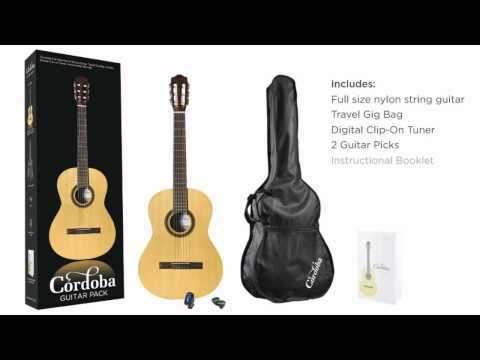 The Cordoba CP100 nylon-string guitar pack is an ideal way to get into classical guitar. The classic pack includes Cordoba's CP100 nylon-string guitar, plus a digital clip-on tuner and a travel gig bag. The CP100 is a smooth-playing guitar with a spruce top and nato back and sides for great tone. And while the price is great for beginners, the traditional size and build of the CP100 means you'll be learning proper playing technique from the very beginning. And with the included extras, you have everything you need to keep playing. Whether you're just starting to learn classical guitar, or just want a great deal on a quality guitar with lots of extras, you'll love the Cordoba CP100 guitar pack. 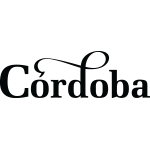 Cordoba's Classic Pack is ready to get you started with classical guitar. The CP100 nylon-string guitar that comes in the Classic Pack is built to Cordoba's demanding specifications in the Spanish Classic tradition, for a great playing experience that exceeds its price tag. The standard 25.6" scale length and 2.04" nut width will help you transition to any classical guitar in the future. The Cordoba CP100 nylon-string guitar is made with from quality tonewoods - a spruce top and nato back and sides - that deliver beautifully balanced tone. And it's built in traditional Spanish style, including fan bracing on the top for a balanced tone with great projection. 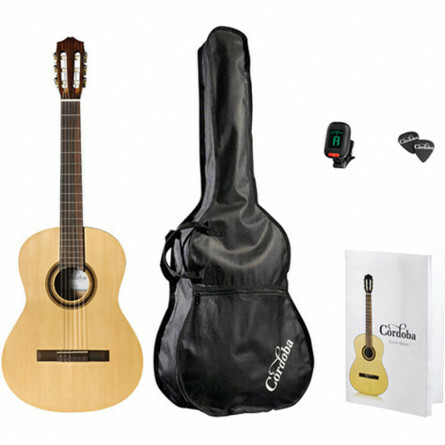 Cordoba's Classic Pack includes the CP100 nylon-string guitar, an electronic tuner, and a Cordoba travel gig bag, as well as an instructional booklet and chord chart. They're all the accessories you'll need when starting to play, bundled together at an unbelievable price. I got this Beautiful Piece of Cordoba Guitar in Perfect condition and i am very happy to see it, It's sound is awsome. Thanks Musikshack. Since it was my first order i was very much concerned about the order. But when it got delivered in 5 days from Maharashtra to Delhi NCR and that too defect/damage free i was very much excited and satisfied to see it, it was properly packed inside 3 boxes. Thank You So Much MusicShack for such a lovely instrument and hassle free service.